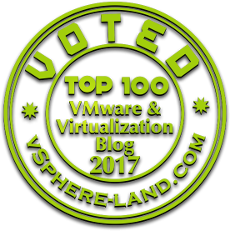 In today enviornment VMware vSphere Admins doesn't have visibility to the underlying storage capabilities of array on which the Virtual Machines resides. In order to help the vSphere Admins storage providers can make use of VASA, by setting up the provider which can exist on storage processor or can be on a dedicated host the decision solely depends on how the storage vendor has configured the same. Which can help vSphere admins to be aware about the underlying topology, state of the physical storage devices on which the VM's are located and also the health status. VASA is a set of API's that integrates with vCenter Server and provides the information to vSphere admins about the underlying disk arrays which can help achieving in tighter configuration between virtual and underlying storage infrastructure. Storage capabilities pushed to vCenter Server can be used for the creation of storage policies using Storage Policy based management and virtual machine placement can be ensured based on the underlying storage capabilities.